The ability to pin websites to your Start Screen is a nice touch in Windows 8, however by default the sites you pin open with the Metro version of Internet Explorer. Here’s how to change that. 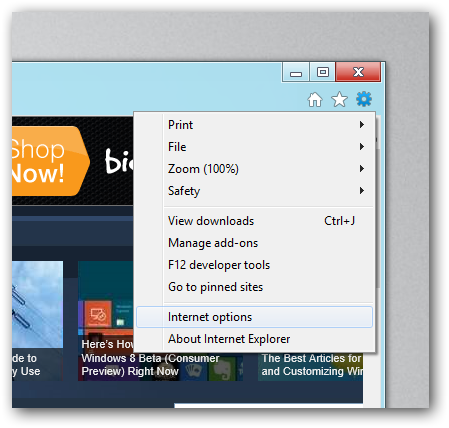 The settings that both Internet Explorers use are controlled through the Internet Options dialog, which can be reached from the desktop version of IE, so go ahead and launch it, then click on the tools button and select Internet Options. Now switch over to the programs tab. 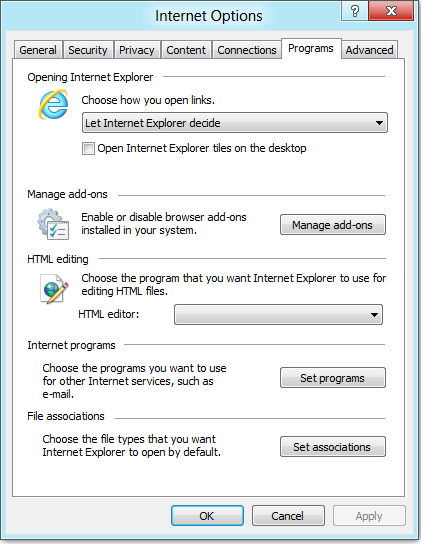 Now check the box that says Open Internet Explorer tiles on the desktop. Hit the OK button and you’re done, now every time when you open a link it will open with the non-immersive (desktop) version of Internet Explorer.